There's no problem our professional technicians can't deal with. You can count on us whenever you need to have something repaired or installed. To see examples of our work, check out our latest projects below. We were able to help these customers with various issues, and we'll do the same for you. 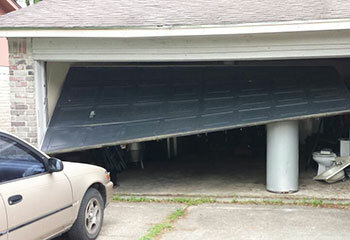 Customer Issue: A damaged track led to this garage door coming off of its right track. Our Solution: After unplugging the opener and manually raising the door, our technicians repaired the bent track to prevent this from happening again before easing the roller back in. The customer was informed that they should lubricate their steel rollers every so often to reduce the likelihood of such a problem recurring. Our Solution: A quick test made it clear that the safety sensors weren't properly detecting an obstacle. We realigned them both and then tested the reversal function several times to make sure that the door was once again safe to use. Customer Issue: Old opener gave out. 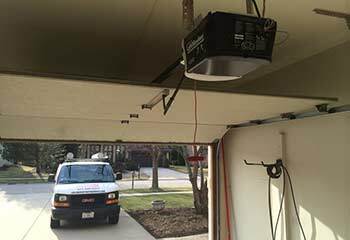 Our Solution: We offered this customer a few fitting choices for her specific needs, and she decided to go with the Craftsman 57918 1 HP DieHard® Ultra-Quiet Belt Drive Garage Door Opener. We proceeded to install it for her and made sure that it was operating as smoothly and quietly as she was expecting. 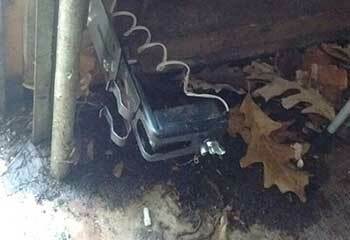 Our Solution: Both of this customer's extension springs broke simultaneously. 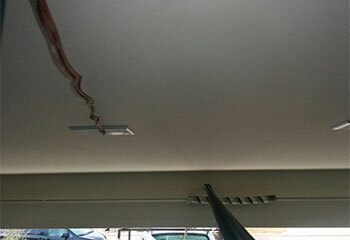 We quickly removed the damaged components and installed new oil-tempered ones in their place. We then made sure they were well adjusted and tested the door a couple of times to see that it was working correctly again.